Temple Square in Salt Lake City is a beautiful place to visit﻿—especially during the Christmas season. 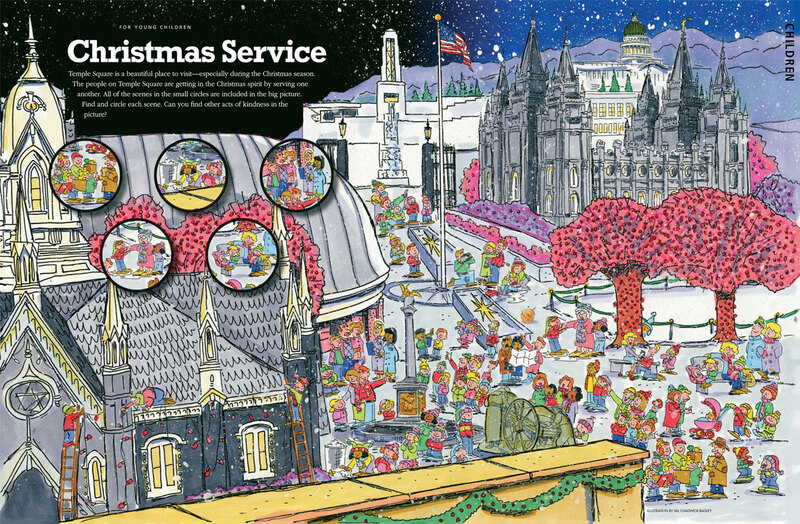 The people on Temple Square are getting in the Christmas spirit by serving one another. All of the scenes in the small circles are included in the big picture. Find and circle each scene. Can you find other acts of kindness in the picture?